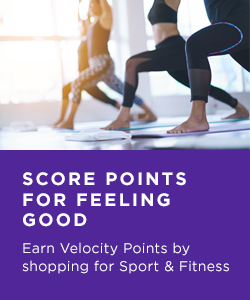 Login to eStore before you begin shopping. 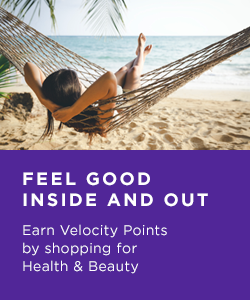 If you’re not a Velocity member, join for free. 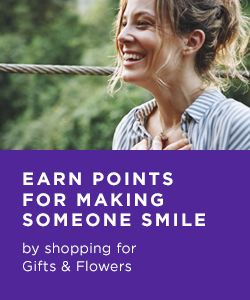 Shop at over 200 retailers, earn 2 Points per $1 at most retailers*. 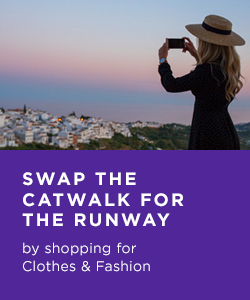 Check your cookies are enabled and click ‘Shop Now’ on your selected retailer page to start shopping. 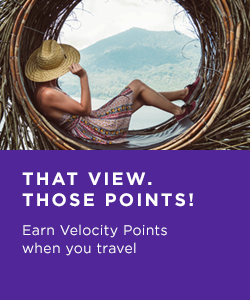 You’ll receive an email confirming you have Points pending within 24 hours and they will be allocated to your Velocity Account within 30 days*. 1Cookies allow us to track your purchase and allocate your Points. Always allow cookies on the browser you’re using to shop, if in doubt, learn more about best cookie settings here. 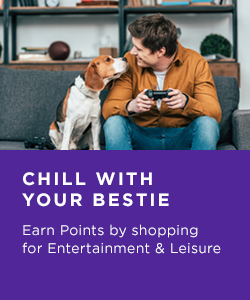 2After logging in shop straight away in the same session to ensure you earn your Points. 3It’s easy to be distracted on your browser when shopping and then click on a bookmark or a new page. 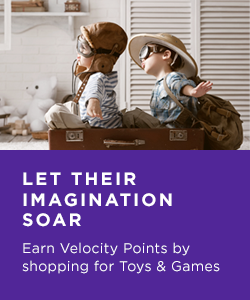 These actions may result in you not earning Velocity Points on your purchase. 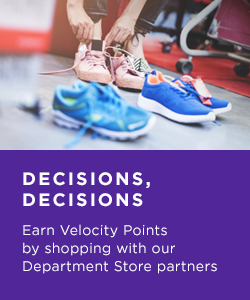 Always make your purchase with a retailer in the same session as when you clicked the eStore Shop Now button, without leaving the retailers site, or going direct to the retailer site. 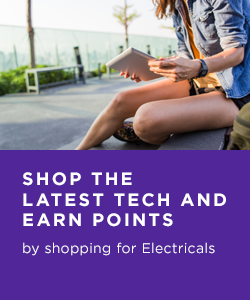 4We all love getting the best deal, you may wish to compare prices across different sites but remember if you do, you then need to go through the eStore again to ensure you’re making your purchase in one session. 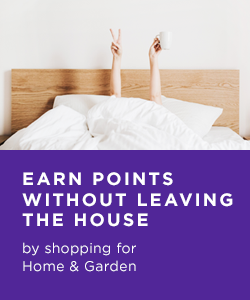 5You’ll know you’ve made a successful eStore purchase when you get an email within 24 hours of your purchase to advise that your Points are pending. 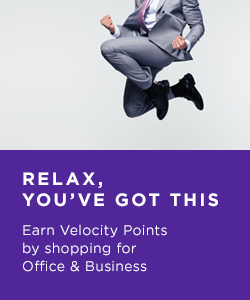 Once in the retailer’s online store, the retailer’s terms and conditions apply. Transactions will appear in your transaction history as ‘pending’ within 1 working day*. 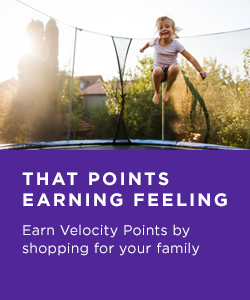 Points will be approved and loaded to your account within 30 days of purchase. 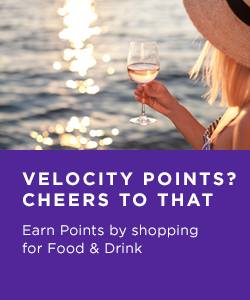 Points awarded for approved transactions will be displayed in your Velocity Account. 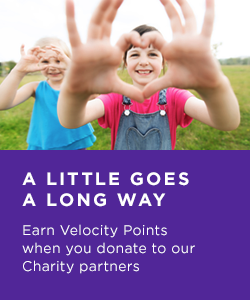 *Please note from the 1st September 2017 you will receive 1 Point per dollar spend on EBay. More questions? See our FAQ’s page. **iTunes transactions will not appear as pending in 1 working day, iTunes transactions will appear only once approved and this will be around 14 working days from your transaction date.